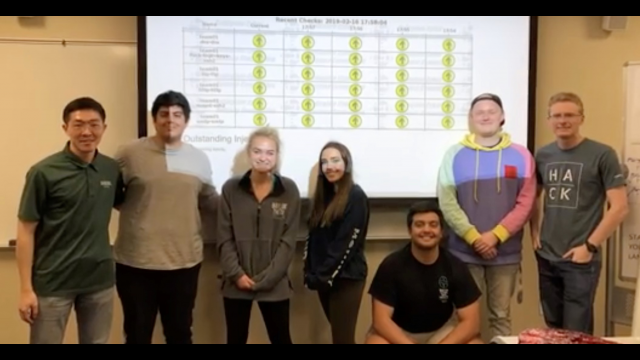 WACO, Texas (April 2, 2019) – The Baylor University Cyber Security team advanced to the Southwest Regional Collegiate Cyber Defense Competition that took place Friday, March 22, through Sunday, March 24, at the University of Tulsa. Members of Baylor’s team included captain Maddie de la Torre, senior, bioinformatics; Jordan Hurt, senior, bioinformatics; Josh Pane, junior, computer science; Caleb Dehaan, senior, computer science; Parakh Jaggi, senior, computer science; Zach Jordan, master’s candidate, computer science; Ruining Yang, senior, computer science; and John Weldon, master’s candidate, business administration. The Collegiate Cyber Defense Competition is a national competition featuring more than 200 universities. Teams must defend a network for 24 to 36 hours. The Southwest competition, featuring the top eight teams from Arkansas, Louisiana, New Mexico, Oklahoma and Texas, was one of nine regional competitions leading to nationals. Though Baylor did not finish in the top three and move on to nationals, coach Jeff Donahoo, Ph.D., professor of computer science in Baylor’s School of Engineering and Computer Science, said he is proud of the way the team competed. 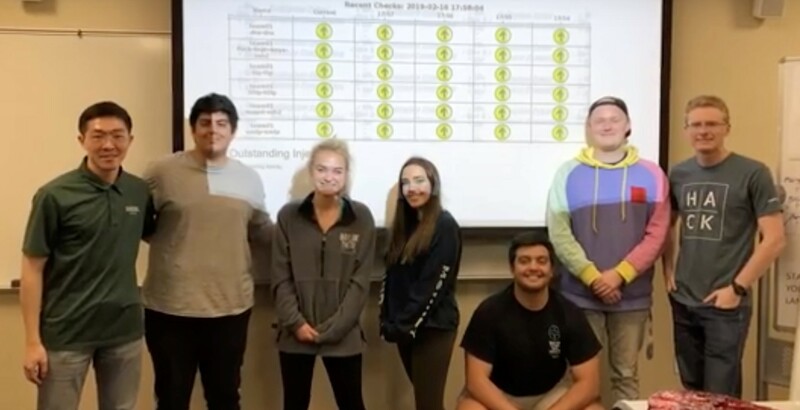 Donahoo said the competition is good experience for students because it closely mimics actual cybersecurity operations where students must continue operation and expand their capabilities while under constant attack. Universities at the competition included Baylor, New Mexico State University, Oklahoma State University, University of Arkansas, University of Texas at San Antonio, University of Tulsa, University of North Texas and University of Texas at Austin. Last year, Baylor advanced to nationals. For more information, visit the information technology services website.